Throughout the year and across the world, our team of asana and anatomy experts offer trainings to develop the tools you need to flourish as a teacher. In 300 hours, you will learn to teach the classic 26+2 hot yoga series. 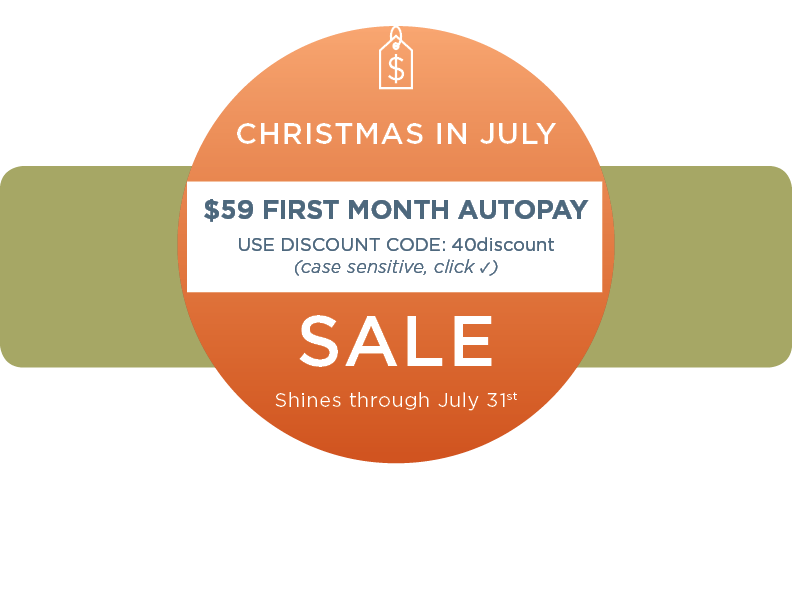 Our team of asana and anatomy experts, including Gianna Purcell, Kathy Durham and Erin Frank will provide you with the tools you need to effectively deliver a precise, informative, and therapeutic class. Alignment, benefits, and language for safely presenting the postures will be covered as well as teaching techniques and methodology, anatomy and physiology, yoga philosophy and ethics, and the business of yoga with practical application. 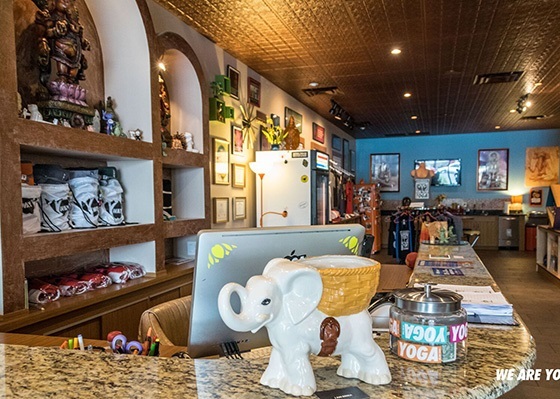 Currently accepting applications for 105F’s ONLY 26+2 Hot Yoga Teacher Training in 2019. Your $30 application fee will be credited towards your tuition at the time of enrollment. Your four week Teacher Training program will be held at the We Are Yoga studio in Ormond Beach, Florida. 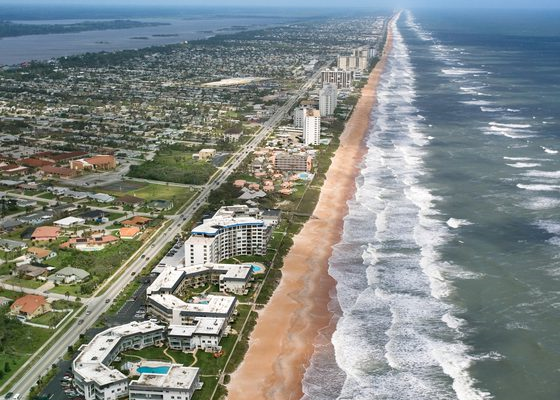 Ormond Beach is just north of Daytona Beach along Florida’s Atlantic Coast. Daytona Beach International Airport (DAB) or Orlando Airport (MCO) are the easiest and most convenient airports to fly in and out of. DAB is a quick 15 minute drive to Ormond Beach. MCO takes about 1 hour and 15 minutes but flights are more direct and generally less expensive. Accommodation cost is not included in pricing. If you are traveling from out of town, we want your stay to be as comfortable and affordable as possible. Many of our out-of-town trainees find airbnb or VRBO to be helpful options. Additionally, all of the below cost-effective options are located right on the beautiful white sandy beach! 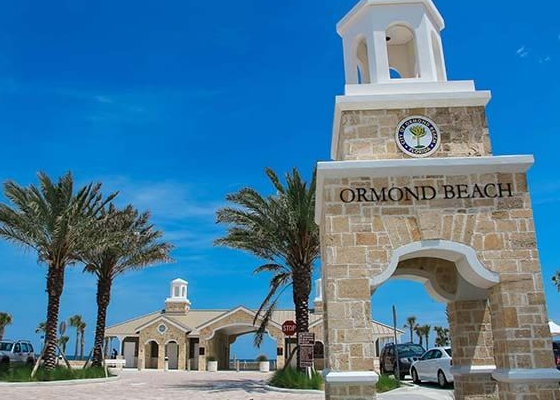 We are happy to help connect trainees for shared housing for your four-week Teacher Training experience in Ormond Beach, Florida. Please email teachertraining@105f.com with any questions. Attending 105F's 26+2 Hot Yoga Teacher Training changed me. Not like I'm a different person, but there will be before and after Teacher Training markers in my life. I'm more clear on what I want, more decisive in my actions, I care less about certain things and certain opinions of others, and more about others. I hear that comes with age, but it hadn't. It came with reflection and four weeks of yoga. Deep yoga. It's like another fresh start. A new phase. It feels good and I can't wait to see what's next. Starts Trainees in speaking the 105F Dialogue, in how to guide others through the set-up, action, and exit of each of the 26 postures and 2 breathing exercises. Interspersed feedback will identify effective usage of language and cues. Starting slow and simple, isolating one pose at a time, Posture Clinics gradually progress into sequences of multiple posture presentation. Skill objectives include: competent understanding of posture language and mechanics, confidence in public speaking and teaching, and constructive giving and receiving of feedback. Logically extends the Posture Clinic into preparations for teaching a full, live class. Trainee will start by teaching one posture at a time and then will string postures together by groups (balancing series, spine-strengthening series) in order to calibrate verbal speed, pose spacing, and class timing. Skill objectives include: proper voice projection, real-time corrections, non-reactive teaching techniques, and efficient language. Delves into key principles and methods to help achieve maximum results with students. Skill objectives include: posture and series continuity, dialogue dissection, mapping your class, feedback philosophy, and didactic responsibilities. Trainee will identify particular scenarios for addressing individual student potentials and limitations, moving through the room while teaching, prepping students before class, debriefing students after class, and using psychology, humor and stories to convey points. Complements Trainees’ visual and practical understanding of the human body. A series of lectures will illuminate the significance of articulating anatomy, axial anatomy, and the nervous system in helping understand how the muscles, bones, and joints create the postures, how spinal position affords muscular continuity throughout the series, and how information flows throughout the body. Surveys overarching theories underpinning yoga and consonant responsibilities of yoga teacher. Yoga Nidra philosophy and meditation techniques are showcased with supporting review of Raja Yoga, the Signs of Samadhi, and Hatha Yoga Pradipika. Takes a straight look into the yoga business opportunities available to a certified yoga teacher. Basic teaching employment, management considerations, and studio ownership concerns will be presented with success/fail comparisons and eye toward win-win scenarios. Aching with back and joint pain, Gianna followed a friend’s recommendation and took her first yoga class and ended two years of sedentary living. 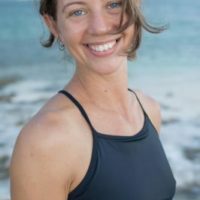 After just a few weeks of practice, her pain dropped; within a year, she was off all medications (ADHD meds, antidepressants and sleeping pills); at two years she began advanced asana training; and by year three she certified as a teacher. Thirsty to know, she went full time studying, teaching and practicing the 26 + 2 series and Ashtanga yoga. Kathy’s interest in yoga began as a personal mission to heal her daily battle with anxiety and depression without using medication. 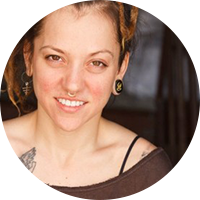 She was invited to a Bikram Yoga class in 2004 where she embarked on a life long journey to wellness. From the first breath, she found security, freedom, relief, and support. 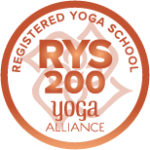 Bikram Yoga Teacher Training soon followed in the Spring of 2005. This channeled a new radiant being to emerge and blossom in the years to come. She walked out more confident, more energetic, more alive and more true to herself.